Description: Old world character and charm await you in the historically designated 5 bedroom, 5 bath custom dutch colonial home built in 1940. Located on a beautiful street nears parks, this fabulous home in richtofens/montclair is truly one of a kind. Relax in the spacious main floor master retreat complete with french doors to the patio, five-piece bath and walk-in closet. Featuring upgraded windows, custom cabinets, sunroom, multiple living spaces and a finished basement with media room. 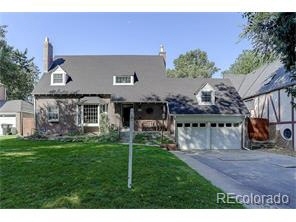 This stately property has been well maintained including new interior paint and is waiting for you to make it your own!